European manufacturers weren't really in the litre-class superbike game through the early 2000's. The segment was pretty much the select reserve of the Japanese big four back then, baring names like Ducati, Aprilia and MV Agusta. But when BMW Motorrad launched the S 1000 RR in 2010  its first 'proper' superbike  the intent was to rule the litre-class segment. 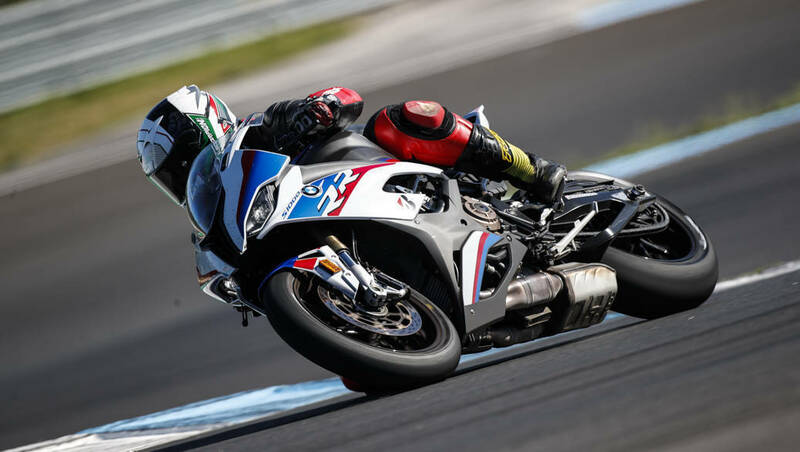 While most superbikes offered just over 160PS, the S 1000 RR's inline four motor put out 190PS, while boasting a comprehensive electronics package and the focused handling of a thoroughbred race replica. And it pretty much blew its competitors from across the world to smithereens. Interesting for a manufacturer known only for its touring and adventure machines previously! A decade later, the all-new S 1000 RR is out. It broke cover at the EICMA last year, creating a stir instantly. The quirky-looking, asymmetrical headlights are gone and RR isn't just meaner looking or lighter, but also packs in cutting-edge technology like never before. Powered by an all-new engine the new S 1000 RR boasts an output of 207PS (up from 199PS), on a bike that's over 10kg lighter! I spent a day in its saddle at the famed Estoril circuit in Portugal and I'm still getting goosebumps remembering how easy it was to hit 280kmph down the main straight, on every single lap! Of course, litre-class superbikes are meant to make your hair stand at end, aren't they? The brief to the development team was to make the bike lighter by over 10kg and a second quicker around racetracks, while also making it easier to control. So the design is completely new, the tank is narrower and the bike is just about as large as a 600. The old bike had a quirky appeal, but the new one just looks angrier and I like it! The asymmetrical headlamp design had allowed BMW to save weight, but with much lighter LED lights as standard that thought is now obsolete, so the new S 1000 RR gets a dual LED projector-equipped face with LED strips underlining them. And taking the mirrors and rear number plate hanger for the racetrack now takes lesser time than what it takes to refuel the bike! Styling aside, the bigger news is the weight reduction. A new M-Package version replaces the HP4, which is 14.5kg lighter than the old bike, while the standard version is 11kg lighter. Of course, this is the first time Motorrad is using the 'M'  previously seen only on BMW's performance cars, but more on that later. The new engine has shed 4kg by way of a new, 1.7kg lighter crank while valve stems are made of titanium and have been hollowed out, apart from a redesigned cylinder head. 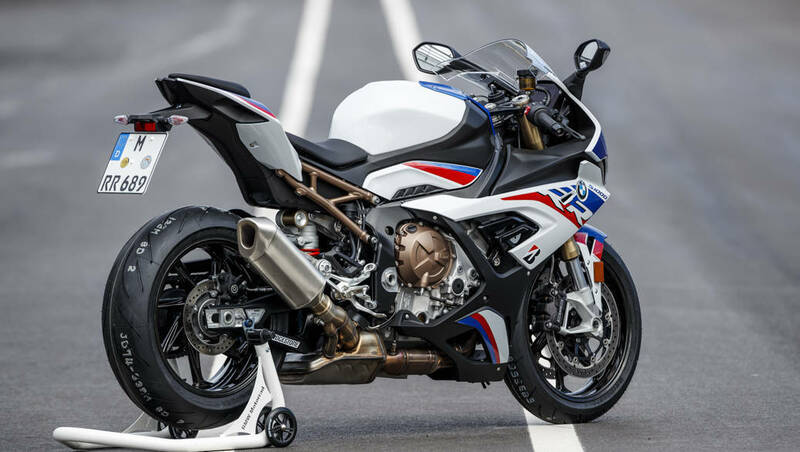 The exhaust system is about 1.3kg lighter while the new chassis, Flex Frame, as BMW Motorrad likes to call it, is also lighter and slimmer and uses the engine as a stressed member to also help reduce weight. Wheels are lighter by a kilo and half and even brake discs are lighter by 500gm, thereby reducing unsprung weight. The lighter crank helps the inline four engine rev quicker and harder, so it is quicker to get to its 14,600rpm redline now. 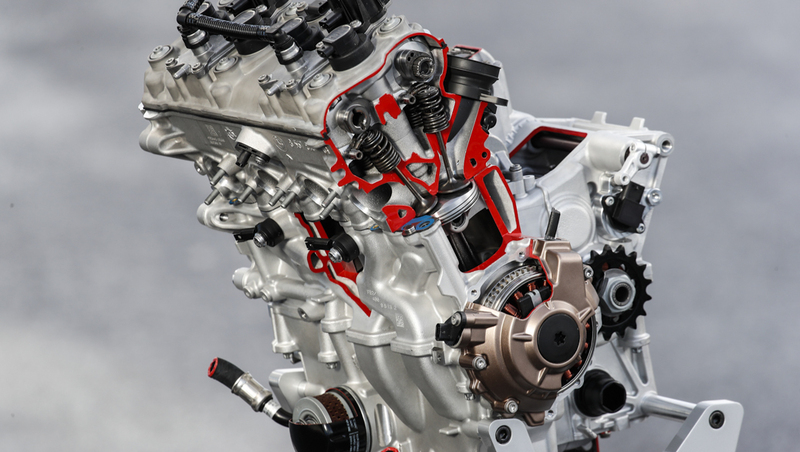 The brief to the engine development team was to increase peak output while improving bottom end and midrange grunt, which is always a huge challenge. Conventionally, either suffers to boost the other but BMW Motorrad found a solution in its ShiftCam technology, or variable valve technology as we know it. ShiftCam varies the timing for intake valves and valve stroke as well by using two cam profiles  one for partial load and the other for full load. The partial load cams work at low to mid revs and lobes are switched at 9,000rpm to actuate the full load profile and keep the valves open for longer. This ensures a transient changeover, without affecting performance at either end. That translates to stronger bottom end grunt, a more powerful midrange punch and of course, more satiating top end whack as you would expect of an inline-four screamer. 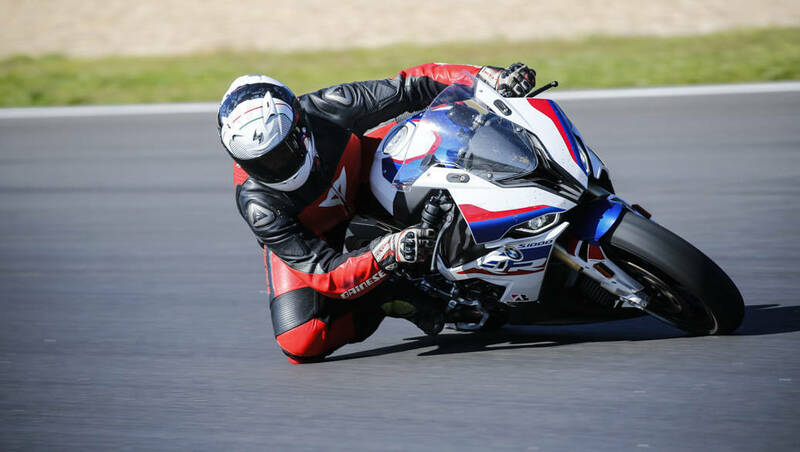 On track, the new S 1000 RR thus sends the 207 horses to the rear wheel in a more linear manner now. The quicker revving engine hastens the process further, thereby making for more thrust out of corners, at higher speeds. 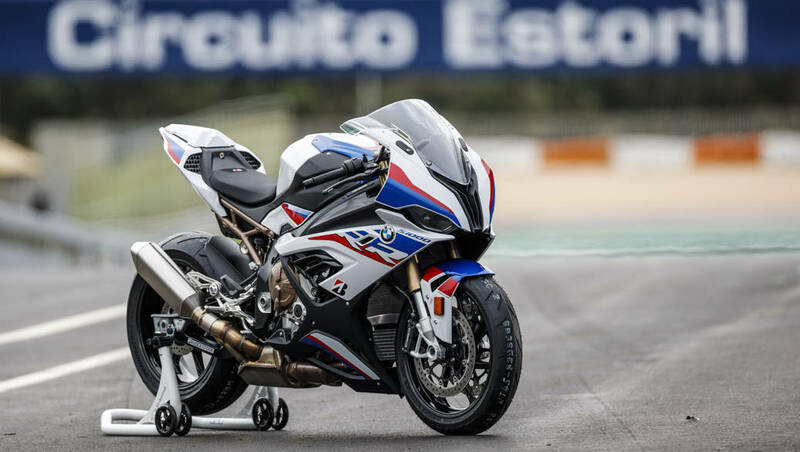 In turn this also makes the S 1000 RR a quicker projectile down straights and as I mentioned, crossing 270kmph down Estoril's start-finish straight consistently, on every single lap! 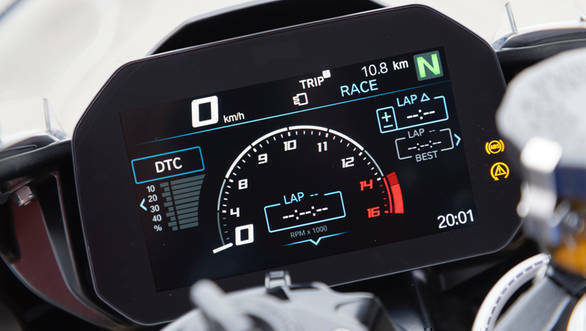 As is the case with all modern superbikes, the electronics suite on the S 1000 RR is what makes putting the power down though. The electronics do all the hard work, help you go faster, lean harder and exit corners quicker, making you feel almost like a MotoGP rider. In fact rider aids on the new bike are easily the most advanced in the segment currently. A six-axis IMU works full time in conjunction with the various systems onboard. These include variable levels of traction control (can be adjusted easily via a toggle on the left handlebar), wheelie control, engine brake control and ABS. Riding modes include Rain, Road, Dynamic and Race as standard but you can also opt for Pro modes (as part of the M-Package) including Race Pro 1, 2 and 3. These allow further customisation of the aforementioned systems as well as engine maps to have the bike suit your individual riding style. Pro modes also include launch control and pit lane speed limiter, while cruise control and a bi-directional quickshifter are standard. Menu options are accessed via a 6.5 inch TFT display that's very crisp to look at. You can customise its views almost infinitely and choose exactly what you want to see on the go, including lean angles on the left and right side individually! The M-Package only makes the new S 1000 RR even more delicious with goodies like a grippier seat, carbon fibre wheels, a lighter lithium battery, Race Pro riding modes and adjustability for the swingarm pivot point. It comes liveried in BMW Motorsport colours and looks stunning. 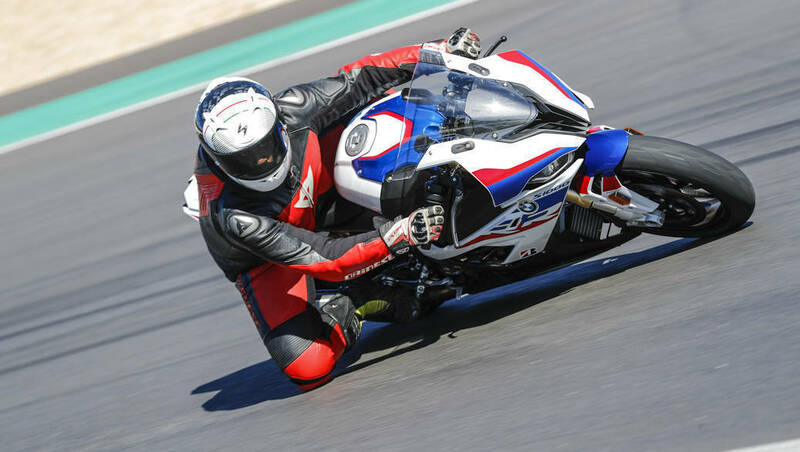 We rode the M-Package equipped version of the 2019 BMW S 1000 RR at the Estoril circuit in Portugal - the bike looks stunning in BMW Motorsport colours and also gets goodies like lighter, carbon fibre wheels, the ability to adjust swingarm pivot points, additional riding modes (Race Pro 1, 2 and 3) and a different seat to name a few. While the standard version is 11kg lighter than last year's bike, the M-Package equipped version is 14.5kg lighter! Out on track I was also impressed with the all-new suspension. BMW has moved to electronically controlled suspension from Marzocchi as opposed to Sachs earlier. The suspension offers top-drawer stability and control, be it when barreling down the straights or leaned over fully, knee slider digging into the apex. Lesser dive and stability under braking adds to rider confidence as I found at the end of each lap, braking from over 250kmph. The suspension adjusts damping real time depending on surface conditions, and I can imagine the new bike offering better ride quality even on the road. Then there's the new brakes. Intriguingly BMW Motorrad has moved from Brembos to a new braking system from Hayes, with BMW branding on the calipers. The brakes are up for the job offered by the S 1000 RR and while they have a progressive feel that's likeable, I would have liked some more initial bite. A full day on track, tucked behind the S 1000 RR's flyscreen most of the time, was a lot of fun but exhausting too. The older S 1000 RR was a lot of hard work and the new bike is less demanding, but is still a lot of work, if you want to get even remotely close to the limits of its immense potential. 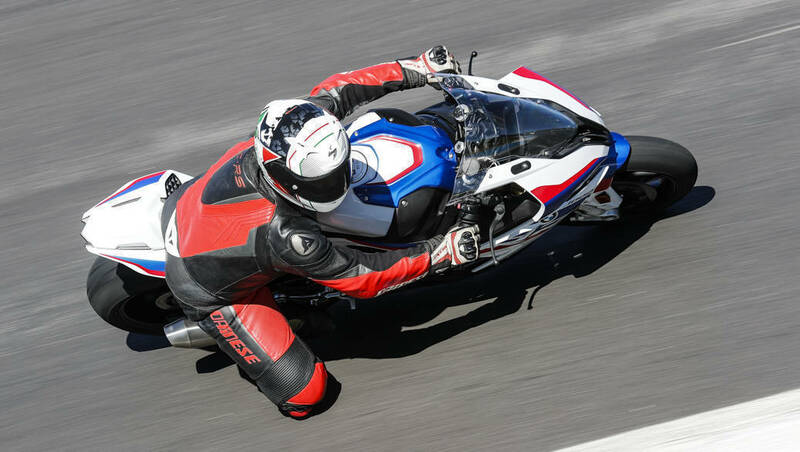 Like most current superbikes the S 1000 RR will let you put its power down and ride it fast, just like that. But more importantly, BMW Motorrad has raised the bar once again, like it did a decade back. The new S 1000 RR is slated to come to India later this year and when it does, we expect it to be priced upwards of Rs 20 lakh, considering the current bike retails at Rs 18.05 lakh onwards, ex-showroom. The changes and technology on offer warrant that premium in my opinion though, because if you liked the old S 1000 RR for its violence and sharp handling, the new bike will only have you break into a bigger smile inside your helmet.